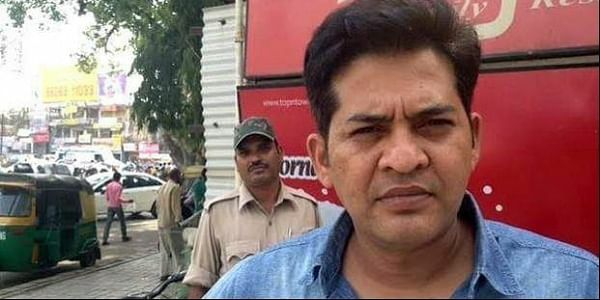 The Central Bureau of Investigation (CBI) on Sunday arrested Indore's Arun Arora in connection with the Vyapam scam. BHOPAL: A key accused in the 2012 MP Pre-Medical Test (MPPMT) scam case, one of the most important cases in the multi-layered Vyapam scam, was arrested by the Central Bureau of Investigation (CBI) in Indore on Sunday. The accused, identified as Arun Arora, was chairman of the admission committee of the Indore-based Index Medical College when the alleged fraud in allocation of state government quota seats took place at the private medical college in September 2012. “Arora was arrested from Indore and produced before the court of additional district and sessions judge Surekha Mishra in Bhopal in the afternoon. The court sent him into judicial custody till Monday, when he will be produced before a regular court in Bhopal by CBI,” CBI counsel Satish Dinkar told The New Indian Express. Arora was among the 245 accused in the 2012 PMT scam who were named in a charge sheet filed by CBI before the designated CBI court in Bhopal on November 23. He is among the 26 heads and officials of four private medical colleges in Bhopal and Indore where 229 state government quota MBBS seats were allotted to ineligible candidates for sums ranging between Rs 50 lakh and Rs 1 crore. As for the other private medical colleges, 54 seats were sold to ineligible candidates, the majority of whom did not even take the July 2012 MPPMT entrance exam, in Chirayu Medical College, Bhopal. In LN Medical College, Bhopal, 41 seats were sold, while in People’s Medical College, Bhopal, 46 seats were sold. The future of the students who got admission in the four private medical colleges by paying hefty amounts now hangs in the balance, officials said. The CBI has written to the Madhya Pradesh government seeking necessary action against these candidates, who did not appear in any entrance exam for admission to the medical colleges, they added. The country’s premier investigative agency is looking into several cases of alleged massive irregularities in various examinations conducted by Vyapam to select candidates for medical colleges and state government jobs.